Whew, it's been hot ..... just the way I like it! We've been having our typical summer weather pattern, daily afternoon showers or storms and temps in the low-to-mid 90's. This issue features Tropical Furniture Gallery, Karma and Coconuts, and a revamping of my Cape Coral Beaches page to include 2 more beaches. 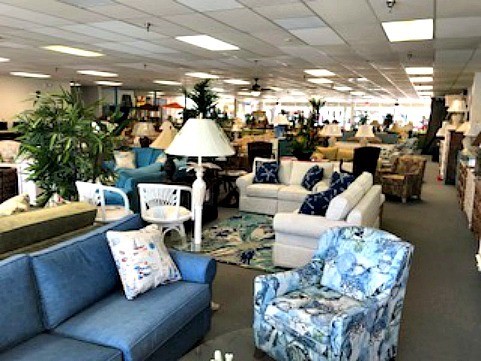 Tropical Furniture Gallery is located in Big John's Plaza on Cape Coral Pkwy, and sells coastal and tropical furniture and decor for your patio, living dining, and bedroom. They are the former Wholesale Furniture Outlet on Del Prado Blvd, and are now focusing solely on new furniture. 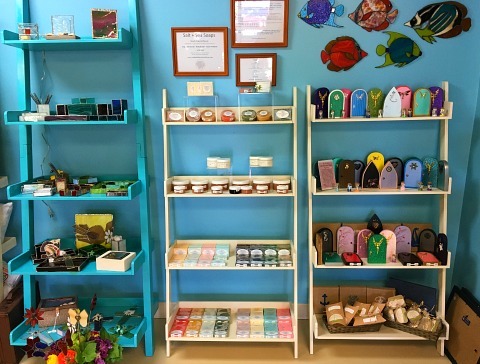 Karma and Coconuts, also located on Cape Coral Pkwy, is a unique gift boutique filled with merchandise handmade locally by SWFL artisans. They are selling my Salt + Sea soaps, scrubs, and body butters there now. You'll also find jewelry, paintings, glass art, candles, and much more as well as day and evening classes taught by Karma's artists. Make sure you check them out! Revisit my Cape Coral Beaches page! 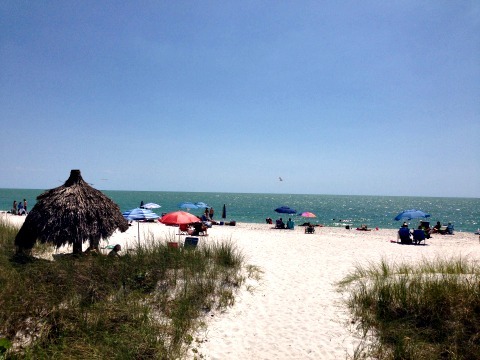 I've added a section at the bottom about Barefoot Beach in Bonita Springs and Lowdermilk Park Beach in Naples. My next newsletter will come out in August. Don't forget to check out my soaps, body butters, salt scrubs and more at Salt + Sea Soaps. For freebies and discounts, follow me on my Salt + Sea Soaps Facebook page. I'm currently selling at the Sunset Celebration, first Wednesdays of the month from 4-7PM or 5-8PM at Yacht Club Beach from October - May. And, I'm year round at the Sunset Farmer's Market at Surfside Shops on Tuesdays from 2-7PM. The market is outside in the parking lot October - May, inside near the Dollar Tree from May - September. From October - May, I'm selling at the Saturday Cape Coral Farmers Market at Club Square off SE 47th Terrace and SE 10th Place from 8AM-1PM from October through April. My products are also sold at Karma and Coconuts, an art boutique on Cape Coral Pkwy East.